Even in relatively dry climates, moisture can build up in houses. 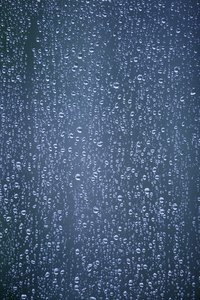 Condensation sometimes appears between glass in double-pane windows, especially in the cooler winter months. Although the only solution to this problem is to replace the glass once the seal between the panes fails, you can employ other techniques to reduce the humidity in your house and prevent condensation buildup. Check vents for the clothes dryer, range and gas burners to ensure they vent to the outside. This helps reduce the amount of humidity inside the house. Clean them out if they are clogged or replace the ventilation system if needed. Install a dehumidifier in the home. Keeping the humidity below 40 percent reduces condensation. Use exhaust fans in the kitchen, bathrooms and laundry areas to push excess humidity out of the house. Let them run for about 15 minutes after finishing activities like showers and washing dishes. Pull curtains away from windows and draw blinds to increase air circulation around the pane. The movement of air helps dry out the window. Turn the fan on your heating system or crack a few windows open to increase air circulation in the house.